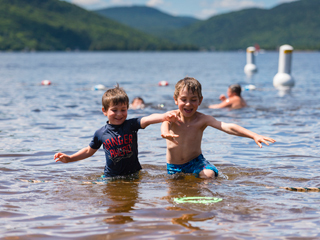 A must-see tourist destination in the Lanaudière region, in the immediate vicinity of the Pimbina area at Mont-Tremblant National Park, Saint-Donat offers a diversified range of activities throughout the year. 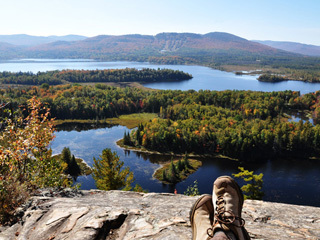 More than 200 kilometers of hiking trails, cycling trails along the lakes or on the mythical Route du Nordet and outings for canoes and kayaks on one of the many bodies of water delight outdoor enthusiasts. Quad bikers and snowmobilers will find their happiness on a well-maintained network offering spectacular views. The Garceau and Reserve ski centers, the riding center, the golf club and the sailing club complete the offer of activities. The Parc des Pionniers offers activities for all: beach, boat ramp and picnic areas. In winter, cross-country skiing, snowshoeing, skating in the forest and hockey are in the spotlight.